Based on the Flying Fleas of WW2. 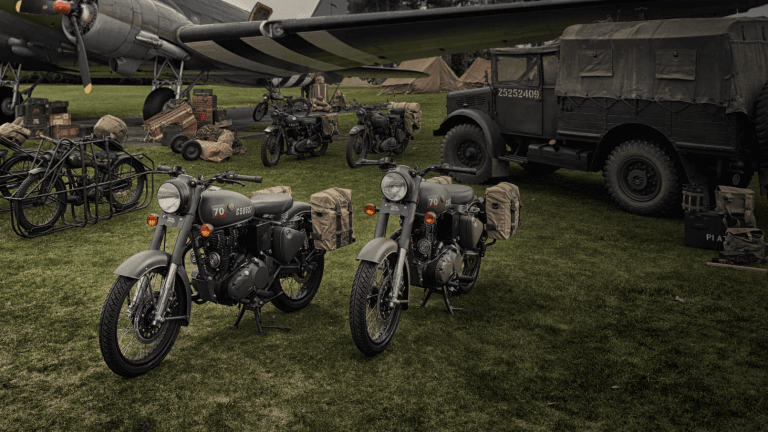 Royal Enfield its putting a spotlight on their military heritage with a bike inspired by the Flying Fleas built for WW2. The original 125cc motorcycle was "designed to be deployed behind enemy lines via parachutes and onboard the Horsa Glider to provide communications support along with acting as a quick mobility platform for the forward units of the Airborne Pegasus Regiment across key operations such as D-Day and Market Garden." 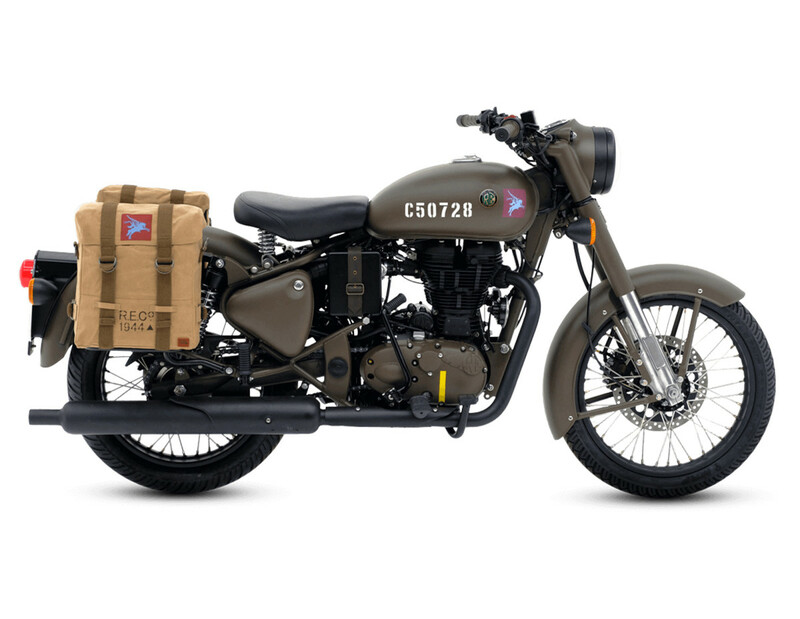 Limited to 1,000 bikes, the Classic 500 Pegasus Edition will draw heavily from the original designs with its Olive and Service Brown colorways, period-inspired saddle bags, and stenciled serial numbers that adorn the fuel tank. 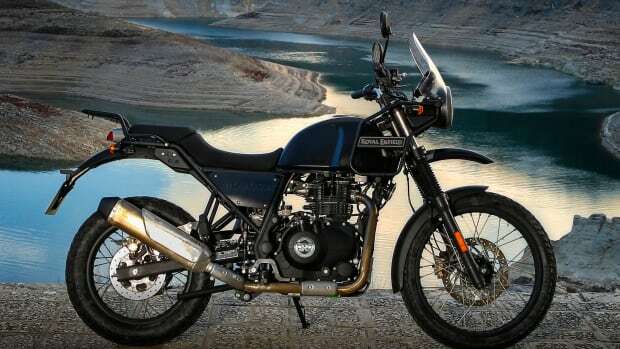 The bike will be powered by a single cylinder 4 stroke engine with a 5-speed transmission and electronic fuel injection. 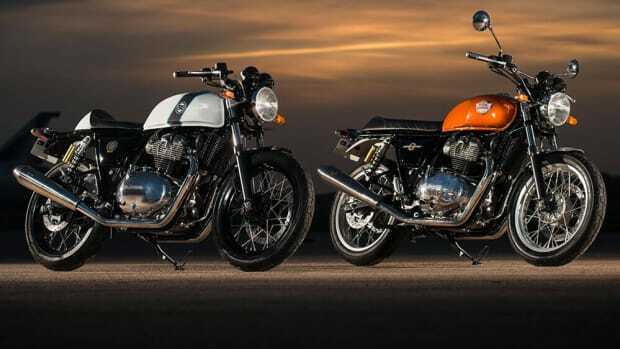 The company updates the Continental GT and reveals the all-new Interceptor. 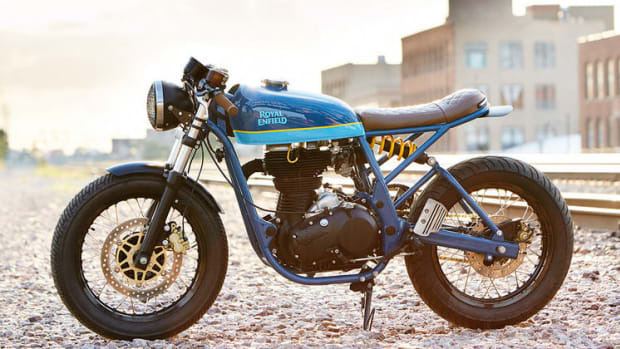 The bike builder's 11th custom is based on the 2014 Continental GT.